Please visit the Cal-APABA website for the full release. 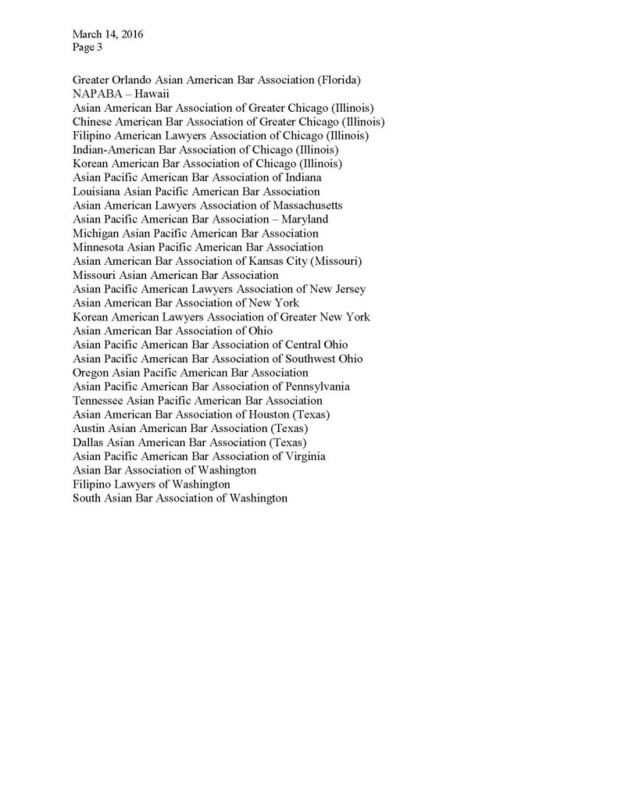 The National Asian Pacific American Bar Association (NAPABA) led 62 affiliated national and local Asian Pacific American bar associations, including ABAS, in filing an amicus brief in Trump v. State of Hawaii (No. 17-965), to be argued before the United States Supreme Court on April 25, 2018. 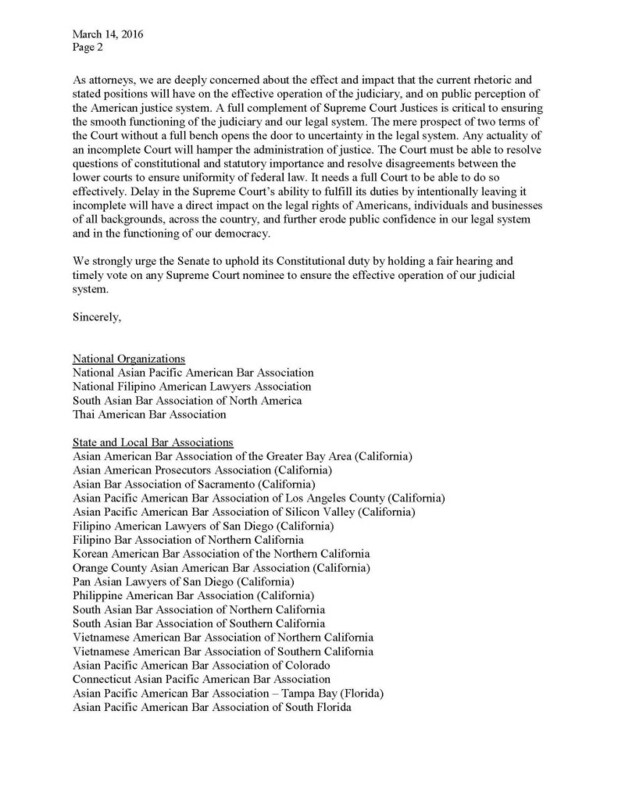 Together, these Asian Pacific American bar associations urged the Court to support the injunction of President Trump’s Sept. 24, 2017, revised executive order barring refugees and individuals from six Muslim-majority countries from entering the United States. See NAPABA’s press release for more information. A copy of the amicus brief can be found here. 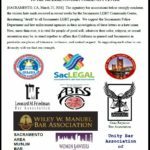 ABAS joined several other bar associations to condemn the recent hate mail received in recent weeks by the Sacramento LGBT Community Center. Please see the attached statement. 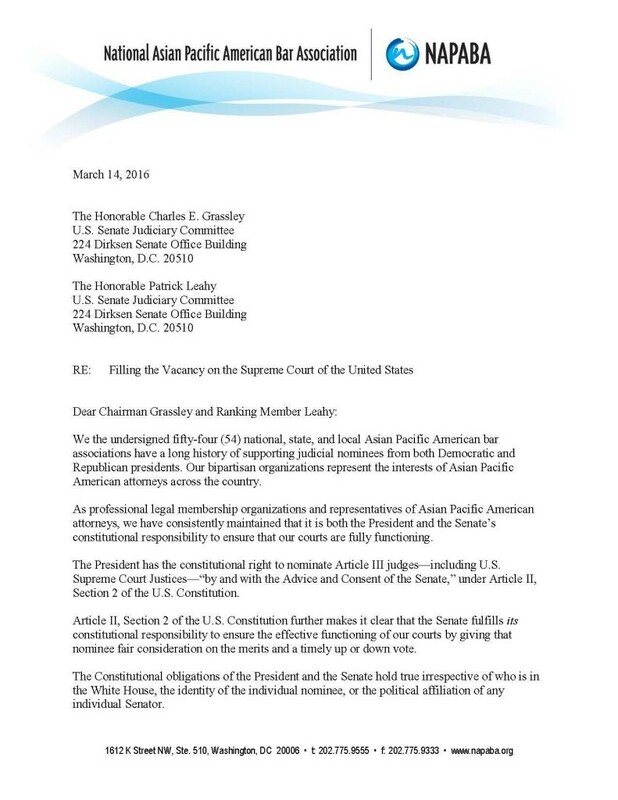 While we are naturally disappointed that the President missed an opportunity to make history by nominating the first Asian Pacific American to the Supreme Court, Asian/Pacific Bar Association of Sacramento joins NAPABA as one of 54 national, state, and local Asian Pacific American bar associations urging Senate leaders to hold a timely vote on any upcoming candidates nominated to fill the current vacancy on the U.S. Supreme Court. WASHINGTON — On Thursday, Indiana Governor Mike Pence signed into law SB 101, legislation that would enable businesses to discriminate under the banner of religious freedom against lesbian, gay, bisexual, and transgender individuals. Religious claims have in the past been used to justify slavery, segregation, and bans on interracial marriage and are now being used in the same manner to support discrimination against LGBT individuals. With this new law, Indiana has become the first state in the U.S. this year to enact legislation by allowing corporations and individuals to refuse to provide services to individuals simply by asserting that a discriminatory act is based on a sincerely held religious belief. Supporters of the bill deny that the bill is about discrimination and argue that religious liberties are under attack and must be protected. But this kind of legislation opens the door for widespread discrimination and goes against American values of diversity and inclusion. NAPABA supports efforts to oppose SB 101 and similar bills pending in others states to ensure equality for all Americans regardless of sexual orientation. The National Asian Pacific American Bar Association (NAPABA) is the national association of Asian Pacific American attorneys, judges, law professors, and law students. NAPABA represents the interests of over 40,000 attorneys and 70 national, state, and local Asian Pacific American bar associations. Its members include solo practitioners, large firm lawyers, corporate counsel, legal service and non-profit attorneys, and lawyers serving at all levels of government. NAPABA continues to be a leader in addressing civil rights issues confronting Asian Pacific American communities. Through its national network of committees and affiliates, NAPABA provides a strong voice for increased diversity of the federal and state judiciaries, advocates for equal opportunity in the workplace, works to eliminate hate crimes and anti-immigrant sentiment, and promotes the professional development of people of color in the legal profession.